Also, the download includes a pdf file of the original artwork for the 1991 cassette release. 'L'Huile Sur Le Feu' was first released as a Bruce's Fingers cassette (BFC 32) in 1991, although the recordings date from 1987-89. 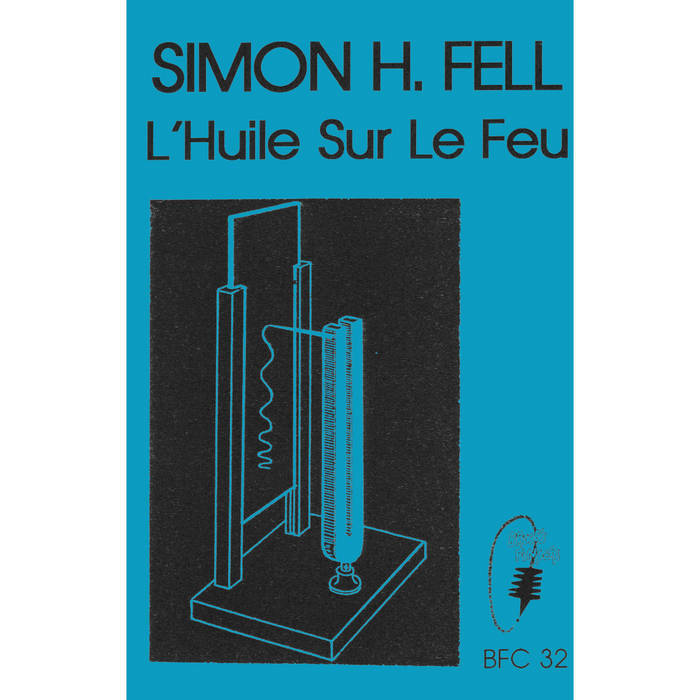 The album's definitely from Simon's 'experimental' phase, including as it does keyboard arrangements of early compositions, two electronic cadenzas, and most unusually of all a pair of songs - not a form which has occupied much of Simon's time since. For those who enjoy archive work, here it is. This musical work was conceived as an album, and is available here as such. However, if you wish to download individual tracks, you should be able to do so at iTunes, Amazon or similar sites.